Having secured over 1,000 dues-paying members this past month, the WikiLeaks Party submitted its registration to the Australian Electoral Commission on Tuesday. A recent poll suggests the party has a strong chance of winning influence in the Senate. The WikiLeaks Party attracted more than double the 500 members required for registration – 1,300 supporters in the three weeks since it opened for membership on March 30. 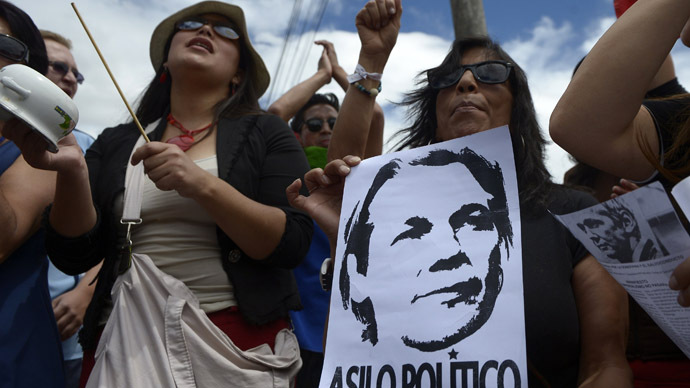 The party has submitted its registration to the Australian Electoral Commission just after a favorable poll emerged in the Australian media saying 26 percent of voters would vote for Assange. 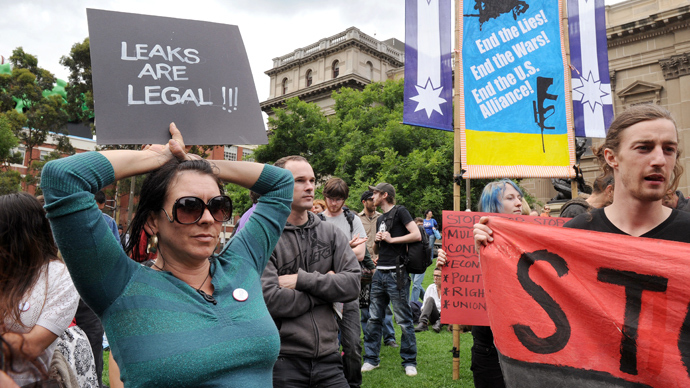 The research – conducted by UMR Research, the Labor Party’s pollster – is based on 1,000 Australian voters’ online answers to the question of whether they would vote for WikiLeaks founder Julian Assange and the WikiLeaks Party. The number of those who said they would exceeds the 14-percent threshold a party needs to run for the Australian Senate. The lowest response, 18 percent, came from the state of Western Australia, and the highest, 36 percent, came from New South Wales. In Victoria State, where Assange is running, 23 percent of poll participants said they would vote for the WikiLeaks Party. However, the polling agency cautioned party supporters against euphoria, as the actual voting results for the WikiLeaks Party will likely be lower than those in their research. 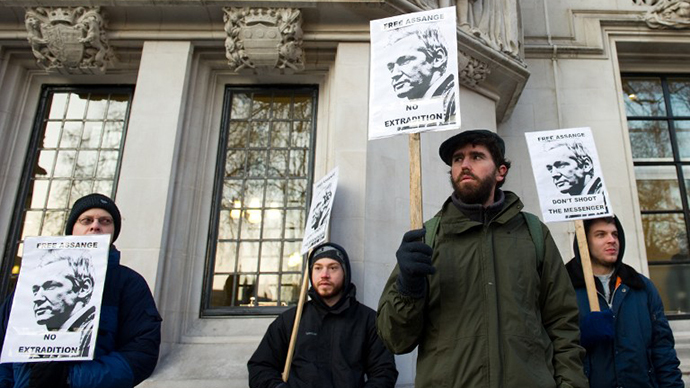 They also advised that Assange's long-distance Senate bid would be hard-fought. ''If he runs a clever campaign he will have a good chance of winning the last, sixth Senate seats,'' UMR managing director John Utting said, according to the National Times. The poll came days after a much less optimistic forecast was published by Nielsen which questioned 1,400 Australians and found that 15 percent would vote for the WikiLeaks Party and Assange. The results were published a week ago. 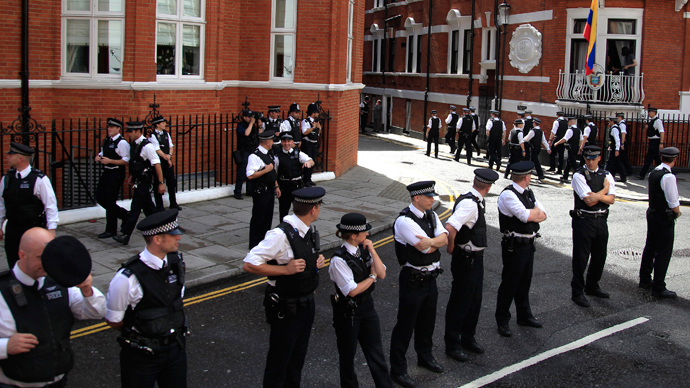 Sitting in the Ecuadorian Embassy in London, Assange said he is aware of the differing poll figures giving him anywhere from 15 to 27 percent support, and is preparing for a tough remote campaign. “I don’t want to underestimate the difficulties of being in this situation. But WikiLeaks has certain abilities in using the Internet, certain understanding on how to project the information on the Internet. So we’ll see whether that works,” Assange told RT. Another factor could work in Assange's favor in his race: Australia has a 'preferential' electoral system allowing voters to cast ballots for multiple candidates in order of preference. The system sometimes allows candidates with as little as 2 percent of primary preference votes to win elections. The WikiLeaks Party is expected to unveil other candidates to represent it in key races in New South Wales and Western Australia. Assange’s running mate in Victoria has also not yet been identified. 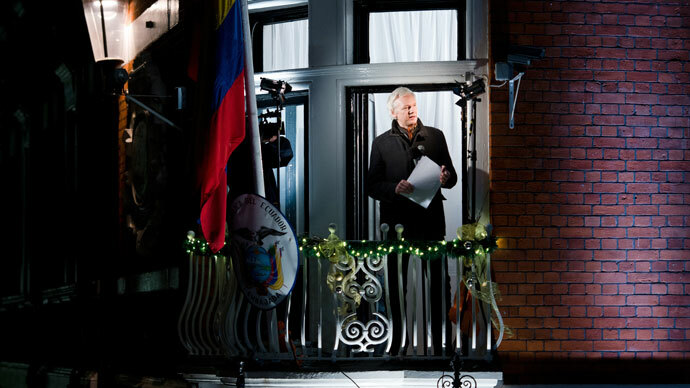 Assange's running mate could sit in for the WikiLeaks founder if he wins a Senate seat but is still unable to leave the Ecuadorian embassy in London, where he has been holed up since June 2012 after claiming asylum in a bid to avoid extradition to Sweden, where he is wanted for questioning on sexual assault allegations. The founder of the whistleblowing website believes that once extradited to Sweden, he could then be re-extradited to the United States, where according to his lawyers he is likely to face trial and possibly even the death penalty for WikiLeaks' release of thousands of classified US diplomatic cables.